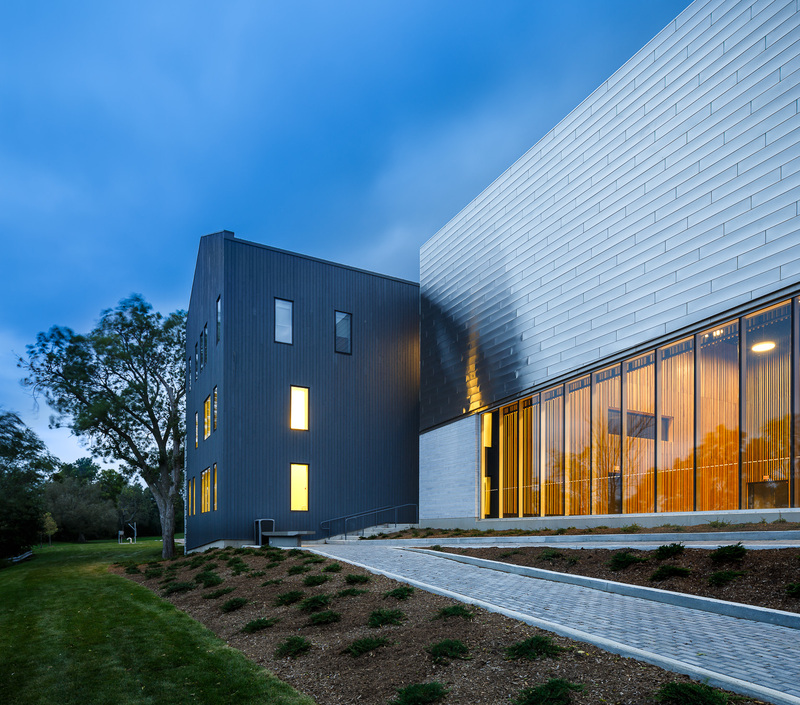 The Ontario Association of Architects 2015 Awards for design excellence have been announced and we are very excited to be associated with one of the winners again this year! 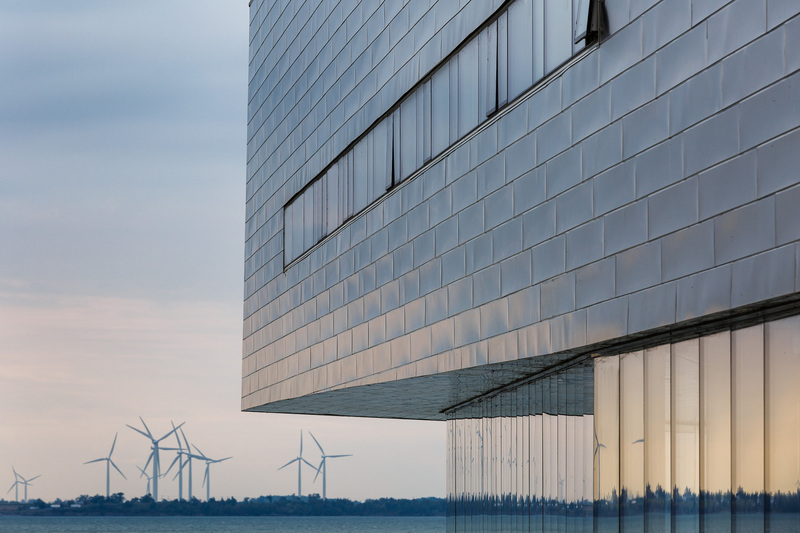 Indeed, we have had the privilege to photograph Snøhetta’s first ever design project in Canada, a collaboration with Ottawa’s N45. 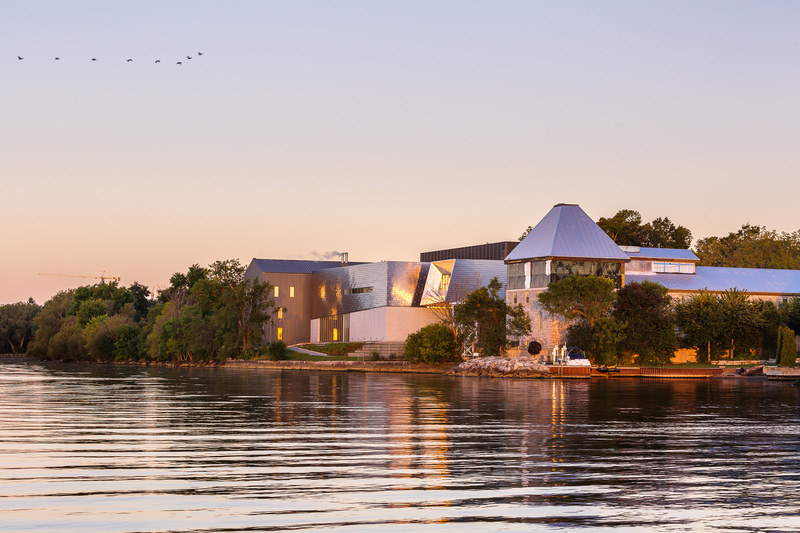 Congrats to both teams for their outstanding work! 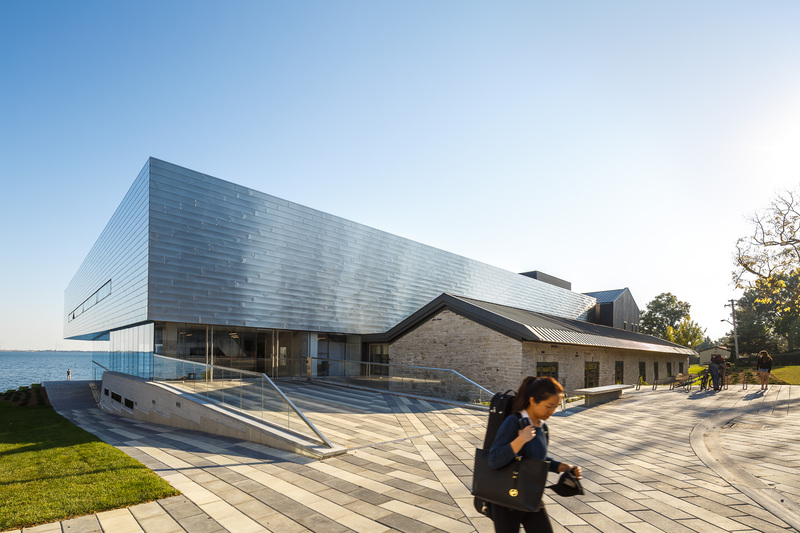 If you want to see even more photos of this gorgeous centre, head to our featured gallery. 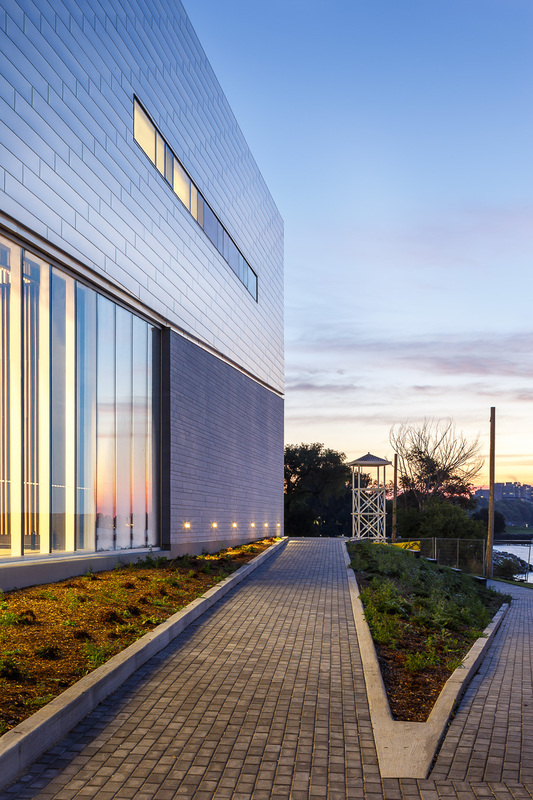 On the Northeastern shores of Lake Ontario, the historic 1830’s Morton Brewery site has been reconceived into a world-class Performing Arts Centre at Queen’s University in Kingston, Ontario. 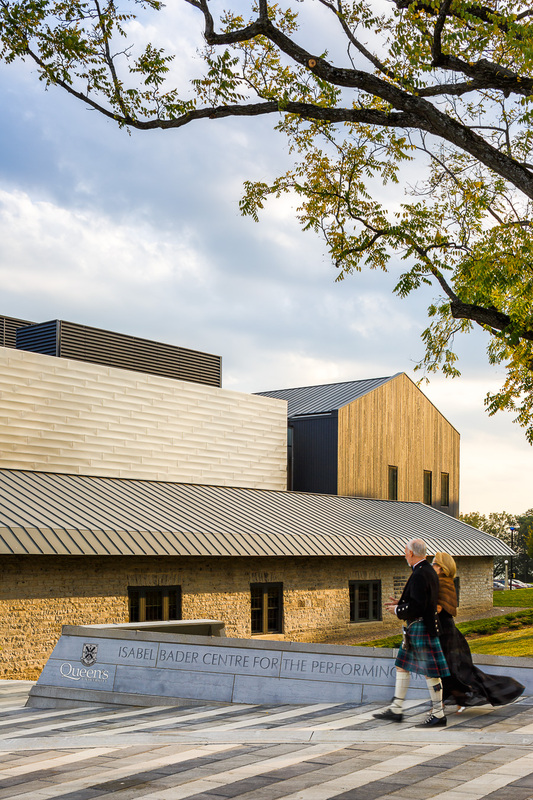 The only facility of its kind in the region, the 80,000 square-foot Isabel Bader Centre for the Performing Arts unites a diverse range of performance and creative art disciplines under a single roof, housing a 566-seat Performance Hall, classrooms, rehearsal and performance spaces for the School of Music and the Departments of Drama, Film and Media at Queen’s University. 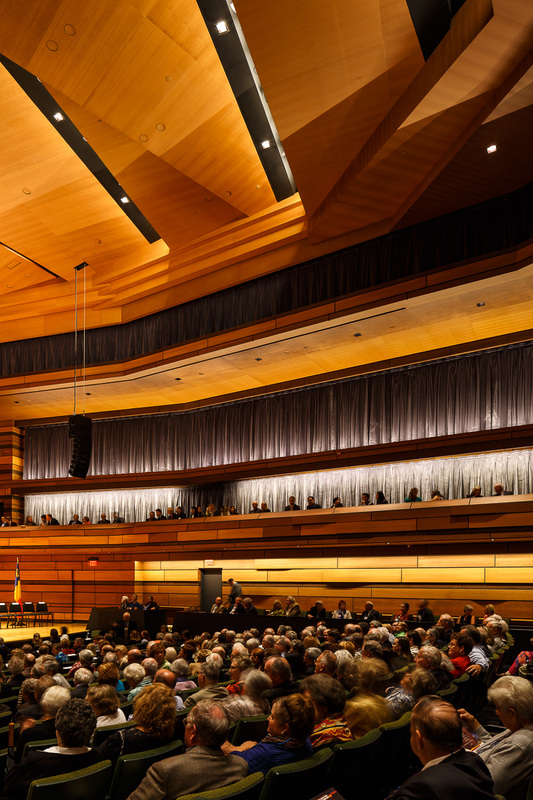 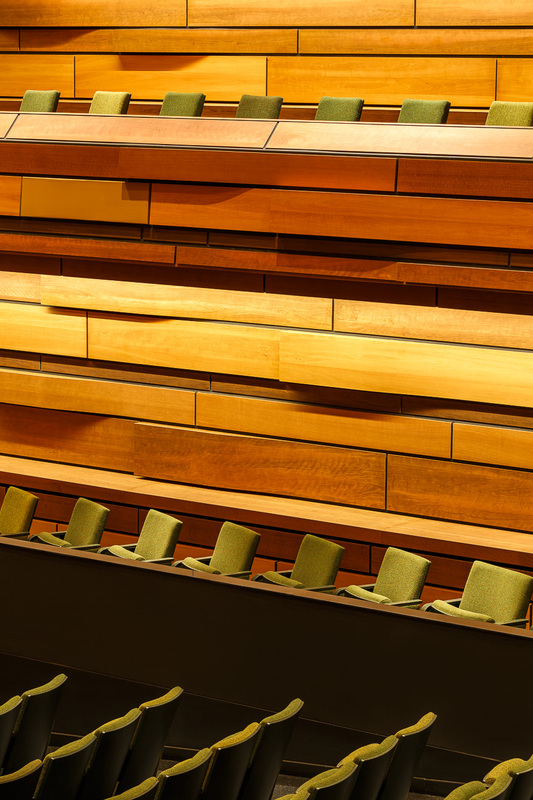 The Concert hall’s interior design references geological patterns of the Kingston area’s local rock strata, referencing its famed role as limestone capital of Canada.